The phrase “fun in the sun” brings up images of lounging on the beach, swimming in the ocean, and soaking up rays. Or maybe you’re out playing frisbee or riding a bike in the park. Summertime usually means lots of sun, and with lots of sun, you need to protect your skin. One of the best ways to help keep your skin healthy and looking fresh is to use a sunscreen to help protect it against harmful UV rays. 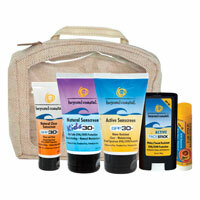 Beyond Coastal has a sunscreen product line that will not only protect, but nourish your skin. When it comes to being outdoors, there are so many different fun things to do with friends and family. We like spending as much time outside as we can. More recently, some of the guys are being more adventurous, spending time in the nearby woods. We also are big picnicing fans – just enjoying the warmer weather and the fresh air. For outdoor activities that are more than just lounging in the backyard, you may want a sunscreen that can withstand time and sweat. The Beyond Coastal Active non-mineral sunscreen can protect your skin when you might be running, jumping and playing. While other active sunscreens maybe thick and white, the Beyond Coastal Active sunscreen goes on clear and smooth. They have SPF15 and SPF30 sunscreens, as well as an SPF30 Face Stick and SPF15 Lip Balm. The Beyond Coastal Natural Sunscreen also offers protection from the sun with a full SPF30 line, including Natural Clear Sunscreen, Natural Sunscreen for kids and a Lip & Face Sunscreen. One of the things that makes Beyond Coastal Sunscreens so unique is that they are gluten free, cruelty free, fragrance free (really – my sniffer couldn’t detect anything), oxybenozone free, paraben free and oil free. They not only protect your skin, but provide nourishing, repairing, and hydrating inactive ingredients, such as Aloe Vera, Chamomile, and Rose Hip Oil. Many sunscreens may have more than 80% inactive ingredients, so it makes sense to use those ingredients to help your skin be more healthy. To help protect your and your family’s skin during these sunny months, check out Beyond Coastal Sunscreens. You can purchase them online from the Beyond Coastal store or through Amazon.com. One winner will receive a Beyond Coastal Prize Pack. Disclaimer: This is a sponsored post and consists of my (and/or fellow tester) opinions only. Your experiences may be different. I did receive a free product from the manufacturer or their representing PR agency to use and test for the purposes of this review. This did not affect the outcome of this review. We like to camp at the beach, so sunscreen is a necessity. I had a couple of bad sunburns in my teen years, and I do NOT want to repeat that experience. We love swimming and yes we screen up. We love hiking and always need to wear sunscreen. I’m always in the garden so sunscreen is a must! We have a pool and we love to swim. We also garden quite a bit. We always wear sunscreen! I love to attend summer sporting events and I always wear sunscreen. We wear sunscreen when we golf. Going to the beach, and I wear sunscreen it’s a must for me because I burn so easily. I wear sunscreen and love all outdoor activities in the summer! My daughter and I enjoy going to the local park and/or playing in the pool. And yup…we do wear sunscreen religiously! I go swimming. I always wear sunscreen. Other wise I am miserable with the aftermath. I burn but what is worse is until I have had 2 or 3 burns in a year I have to go through this horrible rash that I get from too much exposure to the sun. I am not as good about wearing sunscreen as I should be – when it is not as ridiculously hot as it is this weekend, I enjoy going to festivals in the summer. We love to garden, bike and swim and yes I do wear sunscreen. The kids love swimming and we love playing volleyball and gardening. Yes we try to always wear sunscreen! Our favorite activity is having a picnic in Central Park. I wear sunscreen every day (especially now that we have a dog that I walk 3-4 times a day)! I love to be outdoors with our dog. I do wear sunscreen. 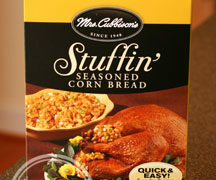 Its a must in the “Sunshine State”! we go swimming a lot, and play in the backyard, so need lots of sunscreen! i like swimming. i always wear spf 80. We love going to the beach and yes we wear sunscreen. We love spending time on the beach and yes, we wear sunscreen. fav summer activities are going to the beach, an amusement park if possible, bbq’s at friends houses. yes we do wear sunscreen. We love to swim and we all wear sunscreen. I always wear SPF. WE love camping on the beach, fishing & boating. My favourite summer activities are swimming and hiking, and I always wear sunscreen! I love going swimming and taking walks. We wear sunscreen year round. we like going to the pool and I usually try to remember to wear sunscreen but sometimes forget. Being a very fair person (think ghostly) sunscreen is very important to me. This sounds like a wonderful giveaway! Our family loves to spend days at the beach. We love to play beach volleyball and swim. We always wear sunscreen and are very sun concious. I enjoy gardening and family bbq’s. Sunscreen is an important part of every day. I love swimming. Yes, I wear sunscreen. I ALWAYS wear sunscreen! Lately, I love canoeing. we enjoy camping, grilling, swimming at the pool and going to the lake. We do use sunscreen. We like to go outside and swim in our pool, and we do use sunscreen. I love hiking and roller blading! This Beyond Coastal prize package is beyond excellent! Beach and we always wear sunscreen! I love to go bike riding, and I always wear sunscreeen! I love to go bike riding, and I always wear sunscreeen!!!! Our family loves to go fishing. I prefer fishing at the lake. I have to wear sunscreen with my fair skin. watching summer baseball games. Yes, we always use sunscreen. I love to swim and play outside with my kids. I wear sunscreen/bug repellant when I go hiking. I love to grill, sit out and relax and play badminton. I do wear sunscreen if I am going to be out in the sun for more than a few minutes. We enjoy biking and kayaking. wakeboarding and golfing! and Yes i wear lots of sunscreen! I love to go to the beach and I always wear suncreen. We enjoy water sports and we do wear sunscreen! We go to the beach almost every weekend! We go through Sunscreen like crazy! We visit beaches and jump in the waves. I always wear sunscreen in the summertime. i love going to the beach and if i am outside i am covered in sunscreen. We like to go to our local community pool and yes we definitely wear sunscreen. We go to our community pool which is only open in the summer time and yes we wear sunscreen. Love the beach and always sunblock! I like going for walks with the kids in the summer, but I often forget the sunscreen. i love going to the beach, sunscreen on! We go camping in the high sierras so always use sunscreen. Backyard activities – BBQ, gardening , and I need that sunscreen. we love to go camping,we always use alot of sunscreen! Love to lay out on the beach, sunscreen is a must! going for walks, swimming, playing outside with the kids. We love to swim but we’re usually playing ball or riding bikes outside. I’m huge on sunscreen! I love to walk, hike in the state park and also garden, all of which require sunscreen as I am very fair. I always wear sunscreen even when there is no sun. My favorite summer thing is going to the beach. Hiking trails to waterfalls! Gardening and walking! We usually play outside and in the pool and go to the playground and park. My daughter wears sunscreen but I usually use dark tanning lotion. My favorite summertime activity is going to Florida to visit my brother and his family. We usually stay in a beach house for a week together and I love walking down the beach and yes I always wear sunscreen. I am fair skinned and have blond hair and blue eyes so I burn easily. I have to have it. We love to go to the beach or the pool! On rainy days we go to the movies or bowling! We always wear sunscreen! I fish, work in the yard, mow grass, swim and go to festivals. During the warm weather months we spend a ton of time outside mostly gardening, swimming, and BBQing. I always remember sunscreen on the kids but I’m trying to do better at remembering to put it on myself because I always end up burned!! wow, this would be awesome to win! what a prize pack!! I send as much time as I can inn the pool! I garden a lot, am always out walking the dog we send a lot of time in the park. I send as much time as I can inn the pool! I wear sunscreen every day – love swimming and working in the garden. We love going to the local water park as a family..
We like to hike and go camping. We will if we’ll be out in the sun. I like going to the lake a grilling out. I always wear sunscreen for these outings because I burn easily, but should be better about day to day usage, year round. Love to go hiking and biking. Sunscreen is part of my adventure. Some of my favorite summer outdoor activities are swimming and gardening and yes I do wear sunscreen daily. We go to the pool and long walks. Always wear sunscreen!! swimming, jogging, laying out by the pool or beach. I always use sunscreen! We love going walking and we (almost) always wear sunscreen! We love going to the beach and attend a lot of auto races and baseball games. We also love taking long walks and going to outdoor flea markets. We enjoy swimming and yes we wear sunscreen! Going to the Oregon coast with my son & hubby! I love being outdoors! I like grilling, swimming, running, biking…anything outside. I burn suuuuper easily, though, so I have to wear sunscreen anytime I know I’ll be outdoors. i love to grill out with my husband in the summer and play outside with my kids. i don’t wear sunscreen but my kids do. lotion i put on my face a spf though. I like to garden and swim and I always wear sunscreen. Going fishing with the family and sunscreen is a must. Going to Amusement and Water parks. And yes we always wear sunscreen. Swimming is my favorite activity and I definitely wear sunscreen! I love going on road trips to silly places and places to hike and yes, I do wear sunscreen. We love fishing and we always wear sunscreen. Swimming or going to the beach and yes, I wear sunscreen! I love splashing around in mountain creeks. Natural sunscreen is a must! Water volleyball, waterparks and the beach. Yes we do wear sunscreen. We like to swim. Yes, we use sun block. Our favorite activity is to visit the beach. Yes, we wear sunscreen! we like playing vollyball and yes we wear sunscreen all the time! We love boating and I always wear sunscreen. swimming and running and yes I always wear sunscreen! We love to swim or go to the beach. Sunscreen is a must! Love summertime picnics, and yes we do wear sunscreen. I love to go swimming. Yes I do. We love to go swimming and yes, we wear a lot of suncreen. I always use sunscreen. I love finding a quiet spot near the ocean and reading an easy summer read. I WILL NOT EVEN GO TO THE MAIL BOX WITHOUT SUNSCREEN! We love swimming & fishing! I wear sunscreen under my makeup & sometimes a makeup with SPF! I have to cover my arms & neck in sunscreen just to drive & run errans. I have fair skin!